In what has become an annual tradition around here, the Patriots are going back to the Super Bowl once again. If you haven’t been keeping track, this will be nine appearances in “The Big Game” for Tom Brady and Bill Belichick, the greatest American duo since Batman and Robin. It’s almost become old hat around here, though we don’t know anyone who’s sick of this just yet. With the Super Bowl comes Super Bowl house parties and Super Bowl deals at local establishments. If you don’t feel like throwing a party at your place this year (you probably had that duty last year) and you don’t know anyone throwing their own, there are a few options for bars and restaurants to hit up if you want to see the game in the company of other rabid fans like yourself. As is usally the case, there are probably a few other places doing something for the game, but they never reached out to us to let us know, so that’s on them! Having never been mistaken for a sports bar, you may find it peculiar that Area 23 is actually hosting what it calls a Super Bowl party. That’s right, the bar known for doing things a little bit differently is, in fact, doing probably the most popular thing there is to do on Super Bowl Sunday, which is to have a party – though it may look and feel a little different from most. 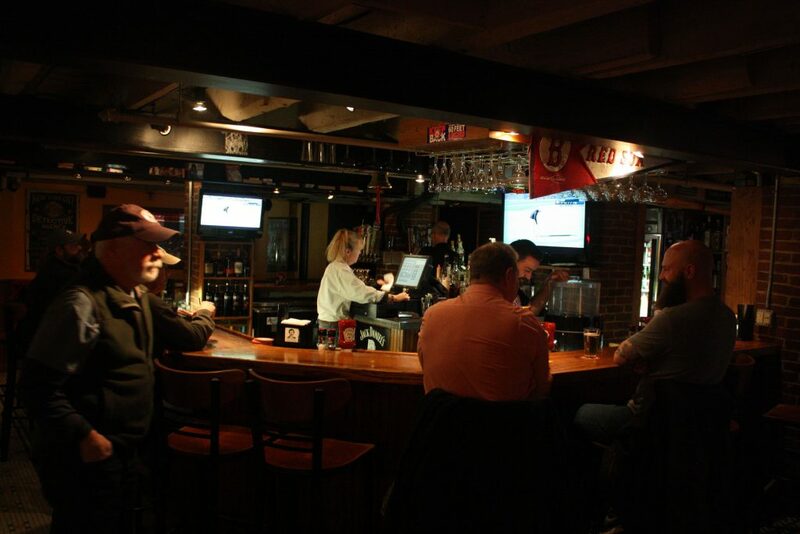 The Area’s lone TV will indeed have the game on, but owner Kirk McNeil said they may be playing music throughout the room rather than the audio of the game. There will be a few specials on appetizers and drinks, though McNeil said they’re not trying to make a huge deal out of it. One special deal that will be running is every time the Patriots score an extra point, you can get any shot of your choice for a dollar – not bad. Cheers will have the game on all of their TVs and will be running its all-you-can-eat, 50-cent wings special, as well as $5 Jack Daniel’s shots and $4 for select draft beers. The Draft is home to 24 beers on tap and 15 72-inch TVs on the main floor, plus three giant projector screens upstairs and six more TVs in the downstairs game room – all of which will be showing the game. During the Super Bowl they’ll be running their normal NFL specials – Double chili cheese dogs for $5, extra-large pizza slices for $5, a 2-pound basket of chicken wings for $17.99, cheese sticks for $7.99, Southwest egg rolls for $8.99, steak and cheese sub for $8.99 and Bud and Bud Light Super Tubes (128 ounces) for $29.99. And don’t forget about the famous smoked wings for $10.99. Reservations are not required, but it’d be wise to arrive about an hour before the game starts to make sure you get a prime seat. Buffalo Wild Wings is all about wings, beer and sports, so you’d better believe they’ll be open for business and going strong during the Super Bowl. 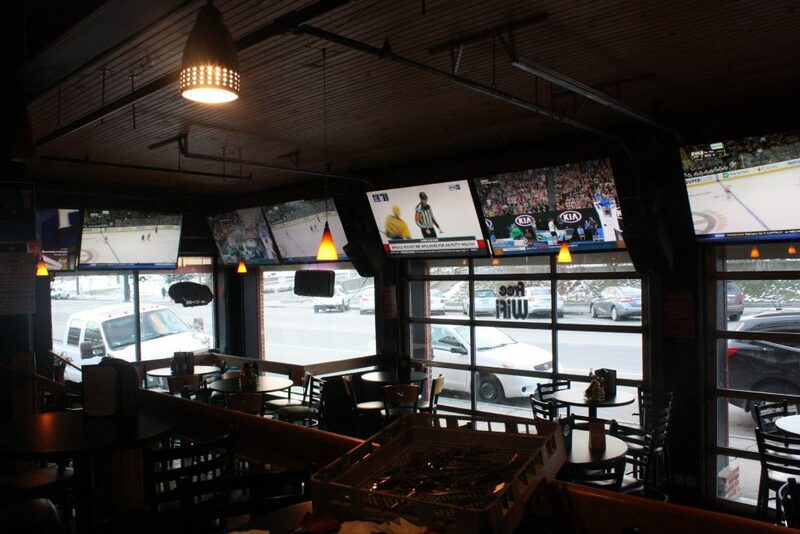 Of the 52 TVs in the place, at least 75 percent of them will be showing the game, and all 30 tap lines will be flowing. As far as specials, at the 2-minute warning of each half, Buffalo Wild Wings will offer $2 shots of Fireball, Jameson Irish Whiskey and Sauza Gold Tequila – talk about a way to get fired up before the end of each half. Food specials are extremely unlikely, however, so enjoy those $2 shots while you can.